When a first draft is slightly off in the Show-Don’t-Tell of a relationship, how do you correct the relationship? Three places in a story can be tackled. Direct confrontations. When characters interact, it’s relatively easy to adjust a character relationship to heat it up or cool it down. The exact wording of dialogue can change: “That was mean.” v. “I hate you.” In both cases, the speaker may hate the other person, but what they actually said was a reason for the hatred. These wordings must exactly give the impression you want for this relationship. Further, you can build in progressions of similar comments throughout the story to indicate the changes in the relationship. Talking about a character. If only A is present, we can still learn about A’s and B’s relationship by the way the A thinks about B, or how A tells someone else about B. Again, both denotation and connotation are important. Within the context of the story, words take on extra meaning or connotations. 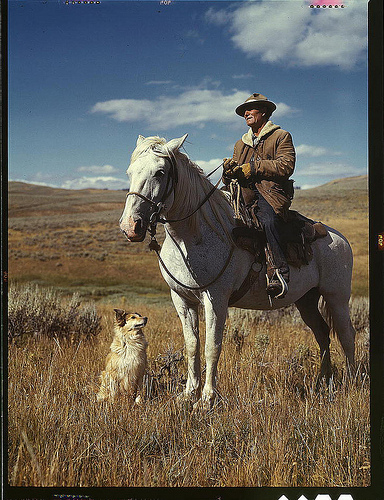 For example, in a story about cowboys, most discussions of horses would take on an affectionate tone. Comparing a working relationship to a cowboy’s relationship with his horse would be a good connotation. Comparing a working relationship to a cowboy who comes up on a rattlesnake, well, that’s bad. Symbolism within a story. Finally, within a story, certain objects or events can carry a symbolism that reflects back on the character relationship. For example, in a story about a father and daughter, a symbolic moment might be a description of a bird forcing its chick to fly for the first time. You don’t have to explicitly connect the flying with the father-daughter relationship; instead, the reader will understand that the father is only trying to make the daughter grow up. If you’re working on a character relationship, work on all three levels, not just one. Adjusting only one will leave the reader unsure what you meant. Make sure you are controlling what the reader understands and feels. Hurrah! My Characters are Fighting!